I plan to explore a series of rituals by doing a daily performance piece with photos, videos, etc., that invites viewers into my spiritual and cultural practices. Inspired by the traditions of African art in theoretical and practical senses of the artist as shaman (such as masquerades and the masqueraders, worship statues, initiation figures) and art as ceremony, ritual and beautification, I will make private rituals public within the limitations and accessibility of social media. This work will also explore and investigate Canada’s racialized immigration and refugee laws and history to deconstruct how those laws—applied to our very own racialized bodies and the bodies of our parents and forebears—were meant to restrict, limit or allow conditional access to this nation state. In deconstructing this law or set of laws through language, it attempts to undo some of the creation of this nation state through laws and language. The spiritual cultural practices in faith, grounding and spirit will be juxtaposed with these more recent systems and structures like borders, immigration, Islamophobia and exile. Because social media is where these performances and explorations are happening, communication and connectivity will also be explored. 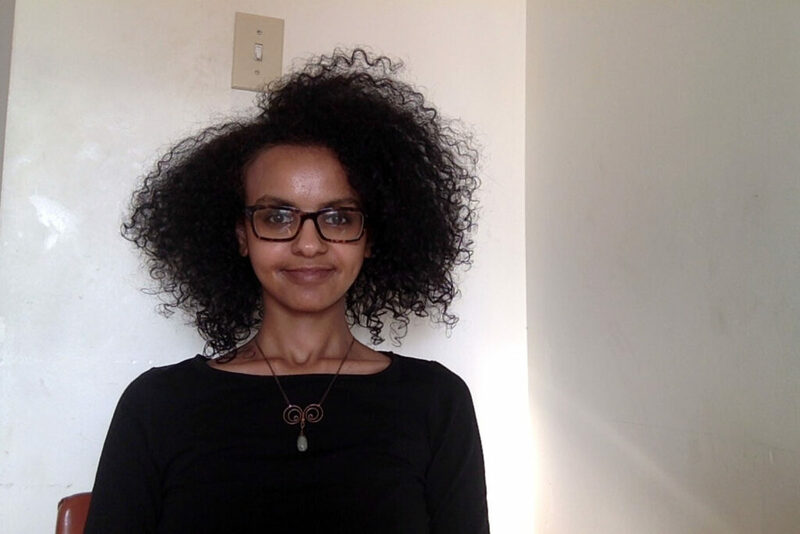 Bishara Elmi is a multidisciplinary artist, writer, educator and public speaker working in visual forms and with numerous materials and creative processes. Bishara works individually and within collectives as an educator centering Black, Muslim and racialized women, femmes and youth to create and hold space for unpacking understandings of history, geography, race, gender and sexuality as ways of dismantling kyriarchy.